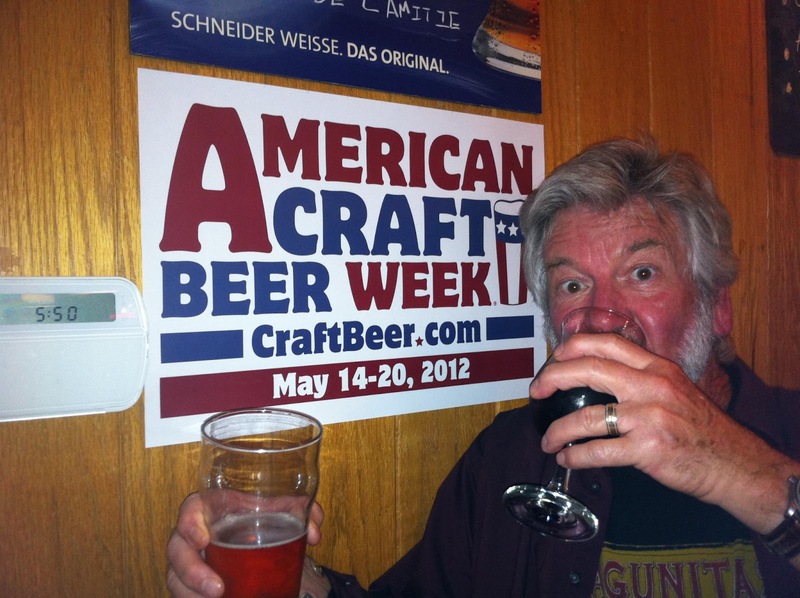 American Craft Beer Week came and went so fast, I have to consult my notes to remember which beers (ales) I had. 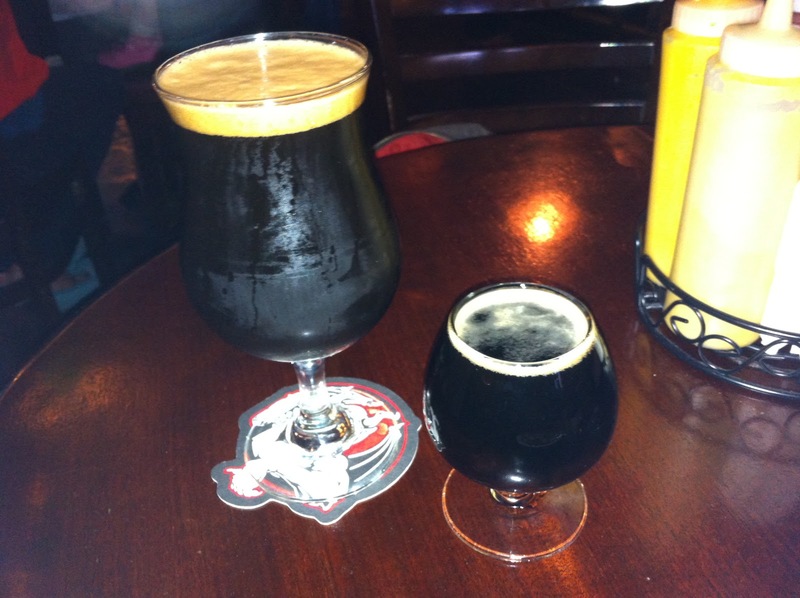 I do recall that Kay and I made a Friday evening stop at TAPS in Petaluma, the night after the big Stone Brewing evening event, which meant there was some really interesting Stone brews still available. We tried the More Brown than Black Black IPA which is a collaboration beer with Stone, Ninkasi and Alchemist. We both rated it very drinkable and would certainly order it again. Kay decided to try the Grand Teton Wakeup Call Stout. That's the large glass in the photo here. We both liked it, Kay calls it iced coffee! Then things got really interesting, as they tend to do when encountering new beers to try (and TAPS is the right place for finding new ones!). See that little glass to the right in my iPhone photo? It's from Firestone Walker, they named it Parabola. With an alcohol content of 12.5%, you get a small serving but the taste was gigantic!! Aged in whiskey and wine barrels for 8 months, this Russian Imperial Stout is a taste sensation, a full fledged party going on in your mouth from the first sip. Chocolate and coffee are the predominant flavors but the bourbon notes are there and the alcohol does call attention to itself, but mildly, not in an aggressive way. This is a very special beer, they only make 3000 cases of it so it's not easy to get if you don't live in Paso Robles, but when you find it, you owe it to yourself to give it a taste test. I promise, you will love the result. Saturday June 2, 2012 is the 21st Annual Beerfest featuring over 40 different microbreweries and a vast assortment of gourmet food purveyors, making the event the premier North Bay beer and food event. From 1pm to 5pm you will be served unlimited food and beer in your own commemorative Beerfest glass. Great start to a promising and frothy venture. (Raising a mug)... Beers to you, Marv!